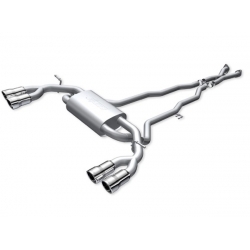 The new 7ism (sevenism) variable catback exhaust system for the 2010-2016 Genesis Coupe 2.0L. 7ism (sevenism) 3.8 Racing Exhaust is a cat-back exhaust designed for high performance and great appearance. 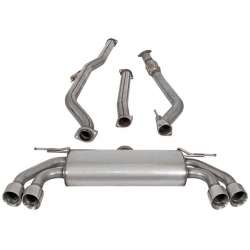 The new 7ism (sevenism) variable catback exhaust system for the 2010-2016 Genesis Coupe 3.8L. AEM Exhaust System is made to fit only 2.0L Turbo model, it has the same clearance as the OEM exhaust. Agency Power Catback System provides considerable power gains while enhancing the sporty appearance of your car. ARK DT-S 2.0 Cat Back Exhaust is one of the best exhaust you can get for your genesis, supreme quality and performance gains. ARK DT-S 3.8 Cat Back Exhaust is one of the best exhaust you can get for your genesis, supreme quality and performance gains.